It’s here. Finally. 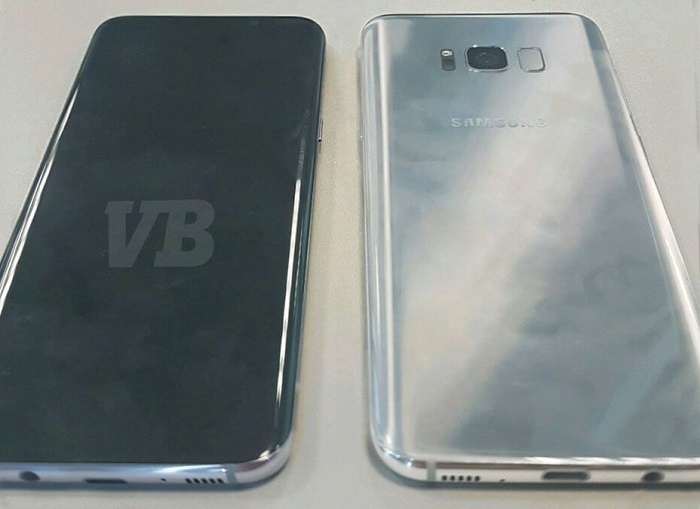 We are having our first look at the live image of the Samsung Galaxy S8 which has been shared by popular leakster Evan Blass. 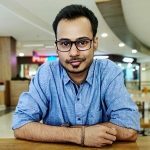 He not only has shared the image, but, he has also shared details about the features, specifications and price of the device. Starting with the design, as evident from the image above, Samsung has done away with the physical home button on the Galaxy S8. We already had reports on this, but now we have confirmation. The Galaxy S8 will be the first device in the Galaxy series which will not come with a physical home button. As there’s no physical home button, Samsung has moved the fingerprint scanner at the back of the device, sitting right next to the primary camera. We have seen smartphones having fingerprint scanner below the primary camera and this one looks odd, at least for now. In our opinion, with this kind of placement, users who use their devices with right hand might find it difficult to reach the fingerprint scanner and end up placing their finger on the camera. There will be two models of the Galaxy S8 – a 5.8-inch model and a 6.2-inch model, both sporting edge displays. Both these phones will have a QHD resolution and it’s needless to that as it’s Samsung, the devices will sport Super AMOLED screen. Also, Samsung has gone with an unusual aspect ratio of 18.5:9 for the Galaxy S8. This has been done to achieve greater screen-to-body ratio. This is also the reason why there’s no physical home button and the Samsung moniker on the front. What can also be seen from the image above is the USB Type-C port which is flanked by a 3.5 mm audio jack along with a microphone and speaker grill. At the right side of the device is the power button whereas the volume rocker is located on the left. As we already know, the Galaxy S8 will come with Snapdragon 835 SoC under the hood. However, as always, it will only be restricted to the US. Other markets will have to make do with an Exynos variant. Both these chipsets will be paired with 4 GB RAM and will see an increment in the base internal storage from 32 GB to 64 GB. You will also have an option to expand the storage up to 256 GB via microSD card. For those interested in photography, the Galaxy S8 will sport a 12 MP camera at the back and an 8 MP camera on the front. The rear camera will come with a new feature called visual search which can be used to perform OCR based searches. The Galaxy S8 will also come with Iris Scanning functionality which was found on the Galaxy Note7. Apart from this, the Galaxy S8 will come with Bixby which is Samsung’s equivalent of Google’s Assistant. The device will also feature pressure-sensitive technology which will mimic Force Touch of Apple. The Galaxy S8 will also come with a Continuum like feature which will let you connect your device to a monitor to get a desktop view of Android.